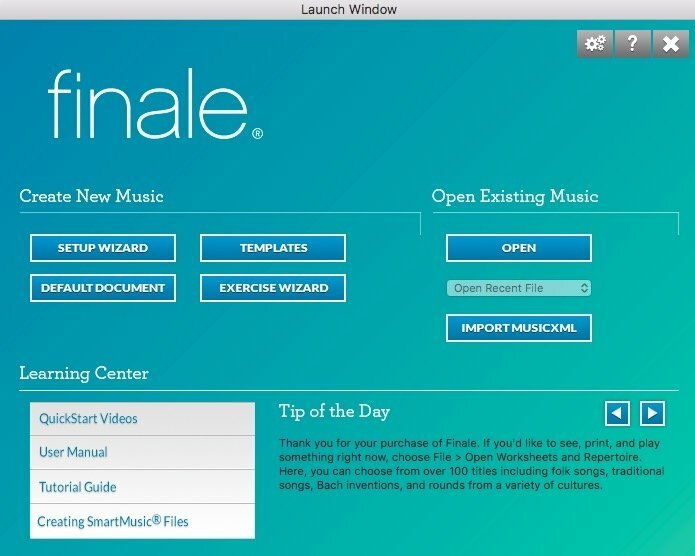 A really powerful application for musicians. 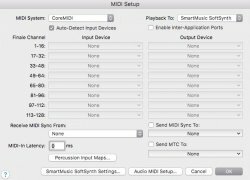 Easily write and play your music in MIDI format without any limitations. You've just got to register on the website to be able to download the free trial version and use it for 30 days. 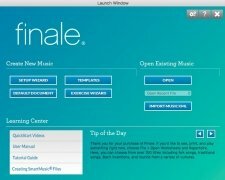 You'll soon see that Finale stands and differentiates from other similar applications due to how easy it is to use and its flexibility when it comes to composing music with scores. 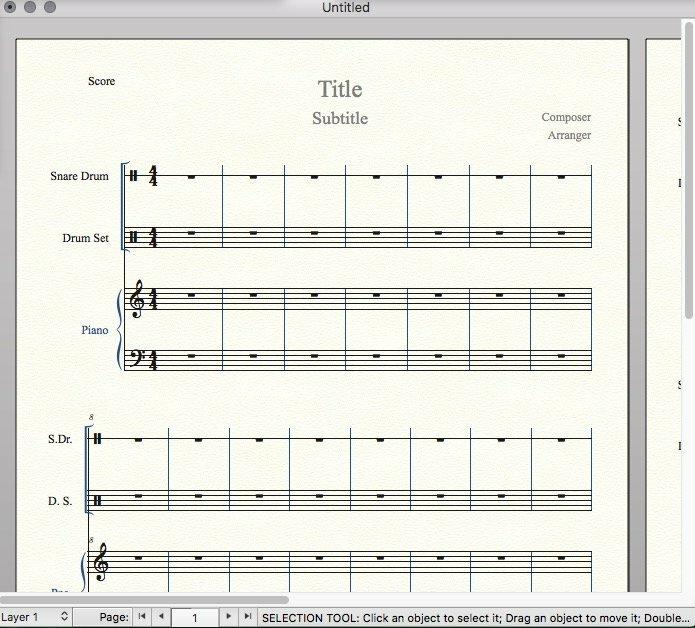 Furthermore, it simplifies the possibility to easily share your music compositions. It also offers you the possibility to play your music in an impressive realistic manner with new ays of sharing it. 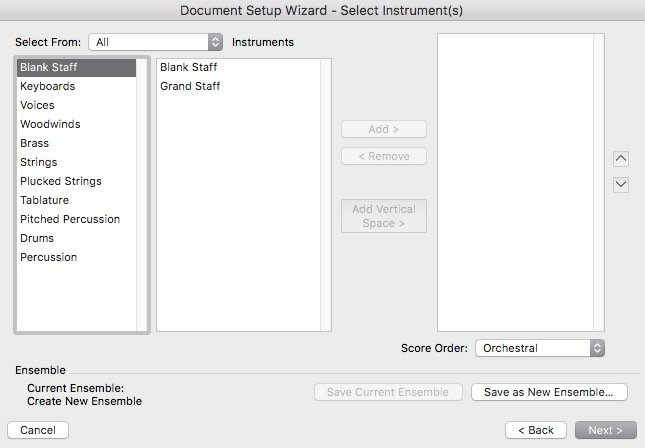 Leave it blank to add instruments on the fly. Wind: flute, oboe, clarinet, and loads more. String: guitar, violin, viola, and plenty of others. Percussion: timbales, sound box, cymbal, bass drum, and even the triangle. 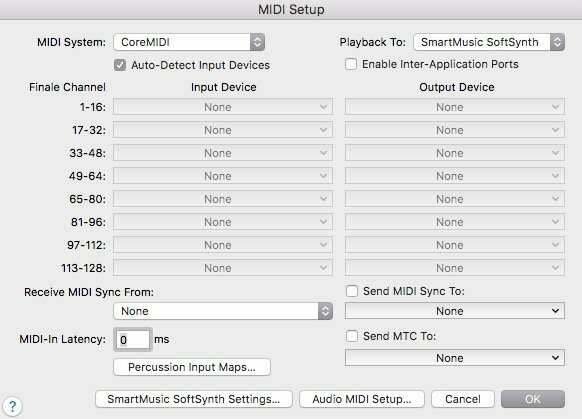 Within each category, you can choose the instruments to be included. 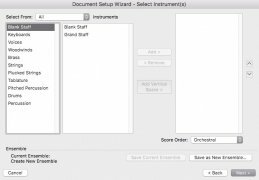 There are loads of them available to be able to complete all kinds of compositions. 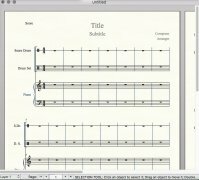 Continue with the preparations by choosing the tempo, whether a four by four, a three by four, an allegro... and complete the project to be able to view on your screen the new score and start working on it.